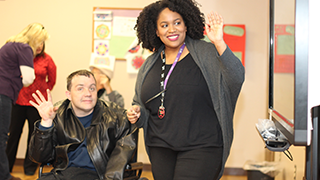 Every person needs the support of others, but we look for very special people to support individuals with disabilities; children with emotional, behavioral or medical complexities; children and adults with brain injury. As a Certified Occupational Therapist Assistant with NeuroRestorative you’ll be one of those special people. For NeuroRestorative and The MENTOR Network the Certified Occupational Therapist Assistant is critical to our success and exemplifies the wonderful mission driven work we do here every day. NeuroRestorative-Houston is seeking a Certified Occupational Therapist Assistant to administer occupational therapy treatment to program participants according to a program plan developed by a licensed occupation therapist. Assures all program participants receive scheduled occupational therapy treatments and documents therapy sessions. Performs active, passive and/or resistive therapeutic exercises, general therapy principles on program participants. Demonstrates knowledge of indications and contra-indications of heating modalities and techniques. Fabricates appropriate splints under instruction of occupational therapist and instructs program participant in splint wear and care. Trains program participants in homebound and community level, including endurance training. Maintains a good working knowledge of occupational therapy equipment and therapeutic exercise treatments. Confers with staff members and other health care members to exchange, discuss and evaluate program participant information for modifying and coordinating current treatment program and participates in treatment planning with trans-disciplinary team as requested. Adheres to ethics of confidentiality. Takes inventory of current occupational therapy equipment and confers with department regarding current status and future needs. Requests supplies as needed. Maintains or checks daily billing logs for program participants. Follows daily scheduling patterns, communicates with staff, and adjusts schedules as needed for flexibility. Performs other related duties and activities as required.